Creating a support account is an easy process. There are two ways that you can register an account. 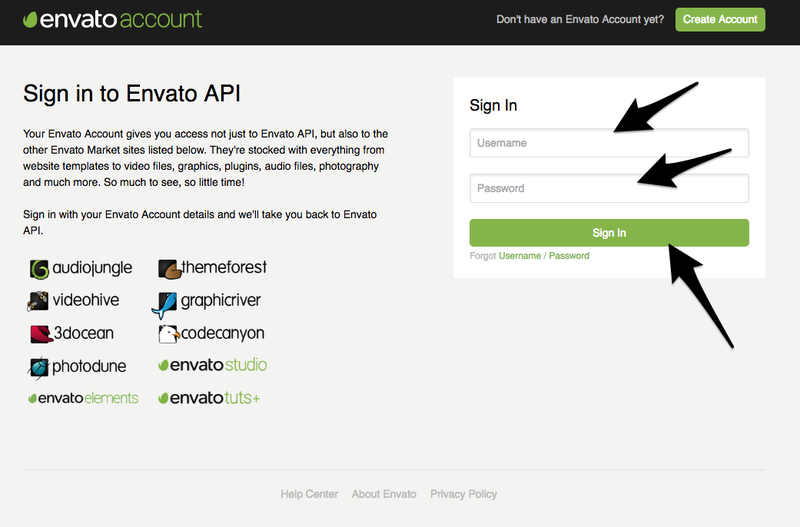 You can login using your Envato account or create an account in our support system. Step 1 - Go to our support page. Step 2 - Click on the Register with Envato button. Step 3 - On the next page, fill in the form. You need to insert you Envato credentials and login to Themeforest. 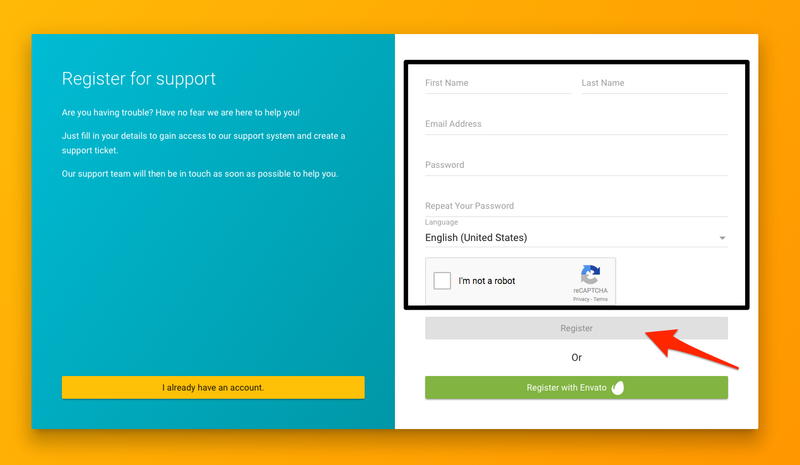 Step 4 - Once logged in, you will get prompted to authorize support.oxygenna.com to connect with your account. Hit the Approve button. 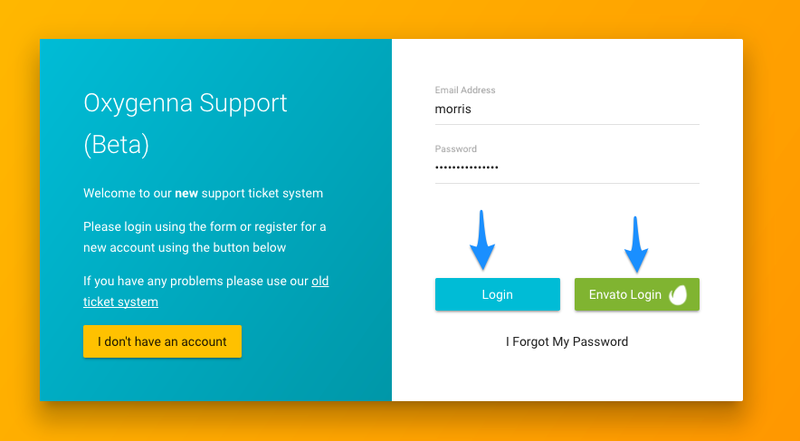 Step 5 - Next screen should log you in your support account. 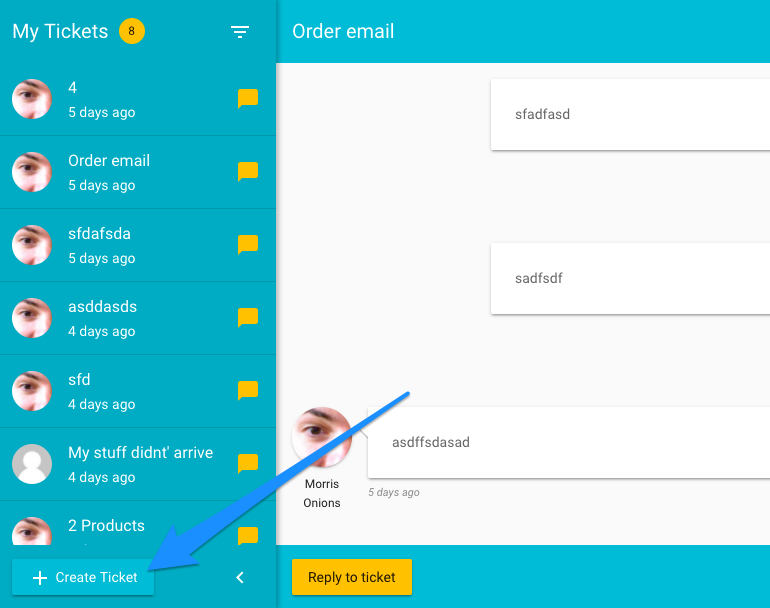 You can now create your first ticket! Step 2 - Fill in the form with your desired info and after you have selected the I am not a robot checkbox click on the Register button. Step 3 - Next screen should log you in your support account. You can now create your first ticket! 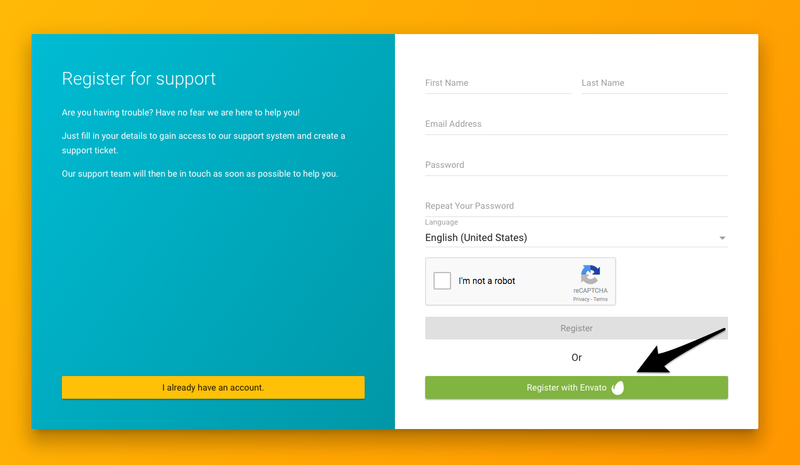 After you have registered, you should be able to login from our support system, by either filling your username and password or clicking the Envato login button. Getting started - Read the instructions on the Getting Started section and click on the Next button when you are ready. 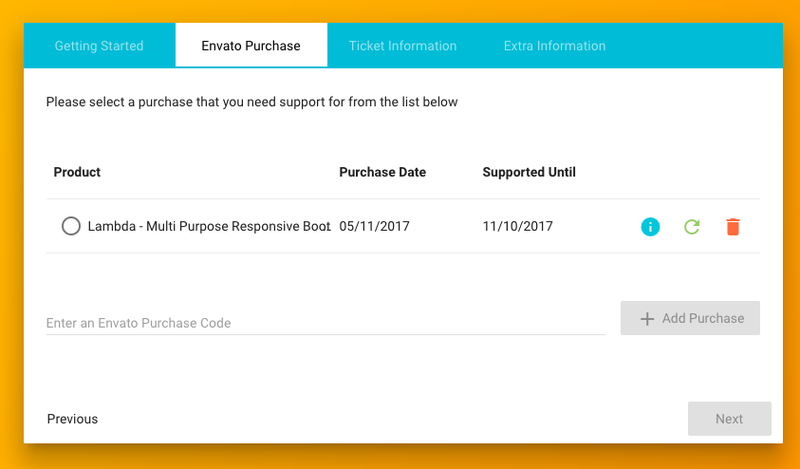 Select a purchase - Enter in a purchase code for the item you need support with (if logged in using Envato login this will be populated automatically). 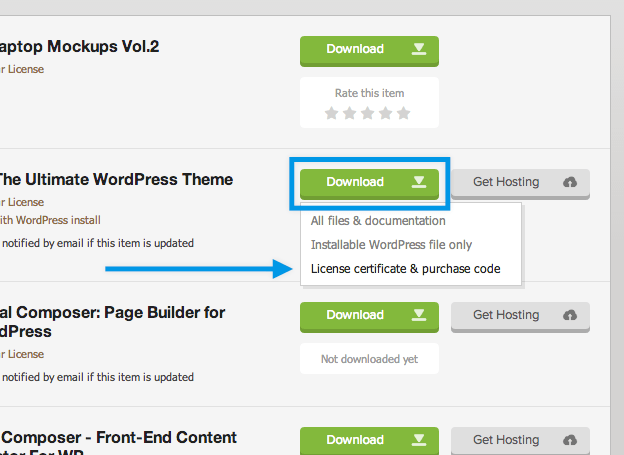 To add a purchase code, enter your Envato Purchase Code and click on the + Add Purchase button. 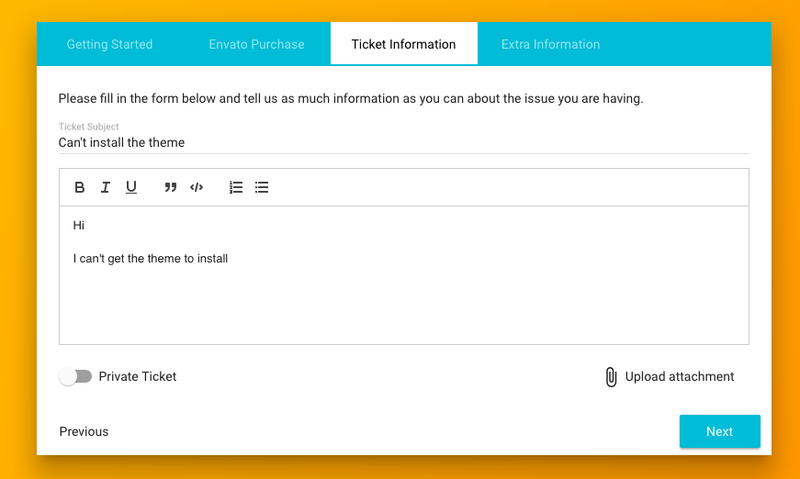 Ticket Information - Describe the problem you are having. Please make sure that you are being as descriptive as you can to improve debugging and response times. Please include any error messages you may have seen or provide a screenshot. You can upload a screenshot by clicking the Upload Attachment button. Extra Information - Fill in any extra information we may need. Please do not forget to fill in the Site URL field, as that would help for a faster and more precise response. Your ticket will be created and we will get back to you as soon as possible. You will receive an email when one of our agents responds. You can find your purchase code from Themeforeston the Downloads Pageby clicking the "Download"button next to the item, and then click the "Licence certificate & purchase code"link. Step 1 - Log in on Themeforest. Step 2 - Click on the Downloads tab. Click on the Renew support now! link of the Omega theme. 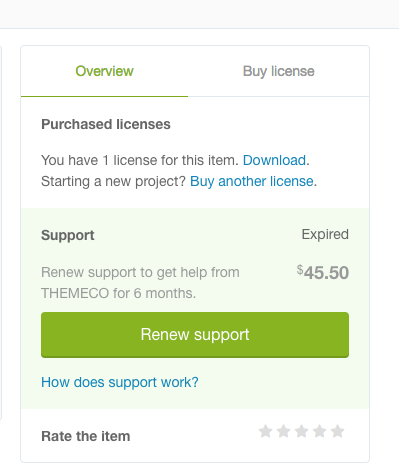 Step 3 - Click on the Renew support button on the right of the page.